A library is a repository for information and information resources utilized by a particular community for purposes of reference and history. 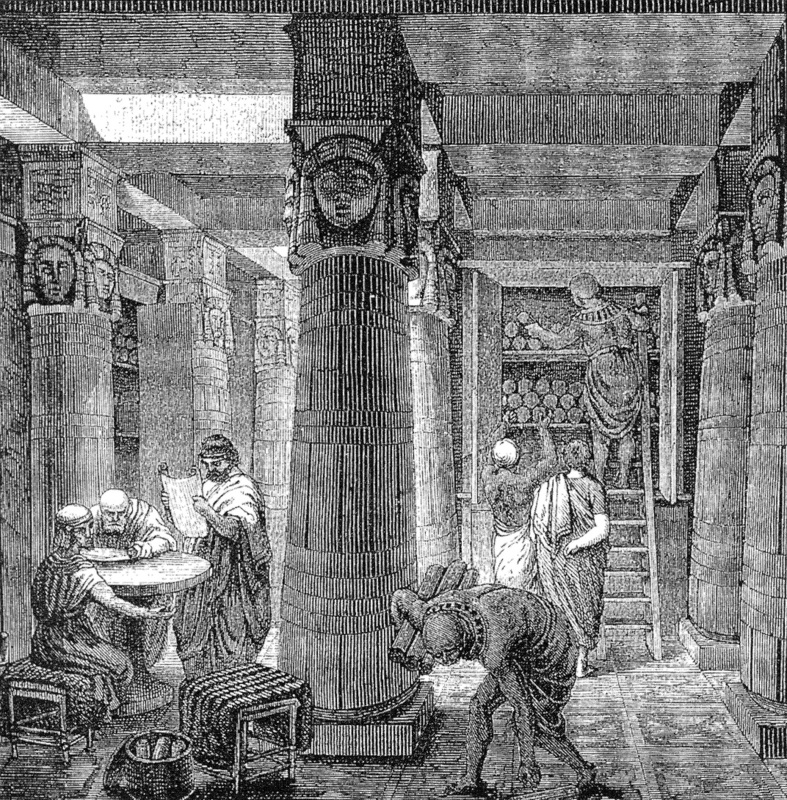 Libraries date far back into Antiquity….approximately 5,000 years, with the first being constructed in ancient Sumeria and consisting of cuneiform tablets. 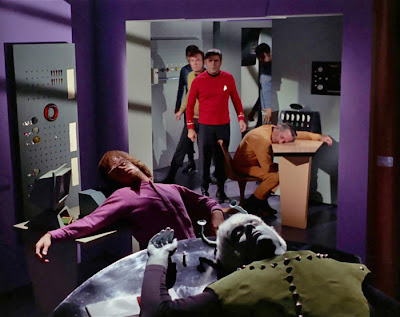 Throughout cult-TV history -- and especially pre-Internet -- the library has proven a critical setting in terms of science fiction and horror programming. In many series, heroes make use of the library to learn information about a case or person they happen to be investigating. 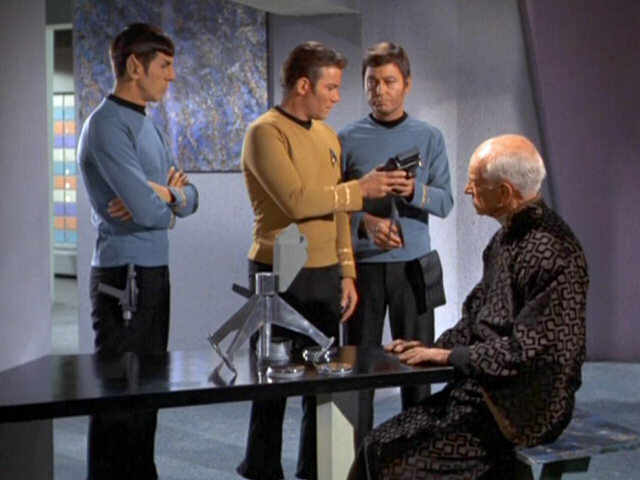 In the late 1960s, Star Trek envisioned a futuristic library called “Memory Alpha” in the third season episode “The Lights of Zetar.” This planet-sized library houses the “total cultural history and scientific knowledge of all Federation members” and is available to all scholars in the galaxy. 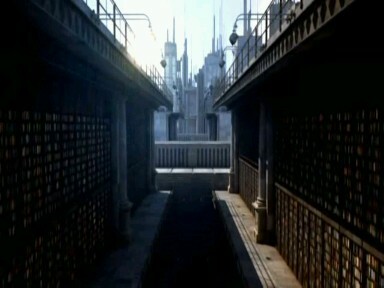 During the course of the episode, the undefended facility is invaded by life-forms consisting of light, and severe damage is done to the library. Fortunately, the Enterprise conducts repairs. In the same season, another episode titled“All Our Yesterdays” involves an alien library, one where each data disc (forecasting digital storage…) opens a gateway to another time and place in planetary history. The librarian on this world, Sarpeidon, is named Mr. Atoz (Ian Wolfe)…as in Mr. A-to-Z. Another futuristic, planet-sized library is featured in the Doctor Who universe (2005 - ). In the two-part story “Silence in the Library” and “Forest of the Dead,” the Tenth Doctor (David Tennant) and his companion Donna (Catherine Tate) visit a vast, empty library in the 51st century, and find that it is haunted by the hungry Vashta Narada…creatures that live in the shadows. This is also the narrative wherein the Doctor first encounters River Song (Alex Kingston). In another popular cult series, Veronica (Kristen Bell) works in the Hearst University Library during the third season of Veronica Mars (2004 – 2007). 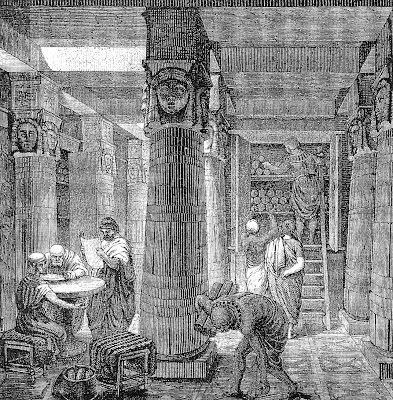 Both Carl Sagan’s series Cosmos: A Personal Journey (1980) and SeaQuest DSV (1993 – 1996) traveled during their runs to the ancient Egyptian library of Alexandria, the great repository constructed during the reign of the Ptolemys (323 – 246 BC). The library burned down in real life, but through the wonders of cult television magic, it was once more made to seem “real.” In the latter case, the first season SeaQuest episode “Treasure of the Mind” involves a group of raiders stealing relics from the recently discovered Library, found at the bottom of the Mediterranean Sea. Ever since I was a boy in the '70s, I have always enjoyed both book stores and libraries. Knowledge is great.